Traveling the world is not so simple as buying a ticket and boarding a plane. There are many countries in the world that do not make travel for American citizens easy. The passport of the United States of America is one of the world's most powerful. However, this does not mean that American citizens have free entry to all of the countries of the world. On the contrary, due to politics and policy, there are many countries that are very difficult for Americans to visit, or where Americans are banned altogether. We outline these countries below. The entire world knows of the political turmoil that has engulfed the North-African country of Libya since the start of the Arab Spring in 2011, which led to the overthrow and subsequent execution of the then Libya’s head of state, Muammar Gadhafi. The ongoing civil unrest that ensued has torn the country in half and has led to the deaths of thousands of people. The security concern also led to countries in the world, including the United States, issuing travel advisories to their citizens against traveling to Libya. However, aside from this travel advisory, any American wishing to visit Libya would be sure to face difficulty. The major hurdle Americans encounter are the numerous and difficult requirement needed by the Libyan embassy before one is issued with a Libyan Visa. Photo credit: LMspencer / Shutterstock.com. One of the world's most isolated countries is also one of the world's most mystified. Contrary to popular belief, the North Korean government has not banned American visitors from visiting the country. The tour around the country prohibits access to many areas around the country. However, individual tours were open to American citizens up until September 2017. 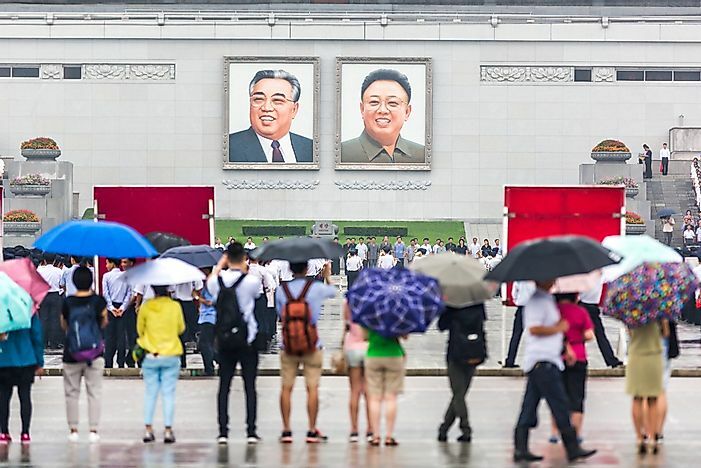 At this time, a directive from the US government is expected to come into effect which will deny US citizens the opportunity to travel to North Korea except for visitors with a particular permission from America’s State Department. Tensions between the United States and Cuba have persisted for decades. However, the travel rules for American travel to Cuba may not be what they seem. In fact, American citizens are not required to hold a travel visa to be granted passage into the country, and in many instances, immigration officers in Cuba will see no need of stamping American passports as such visitors are so rare in the island nation. 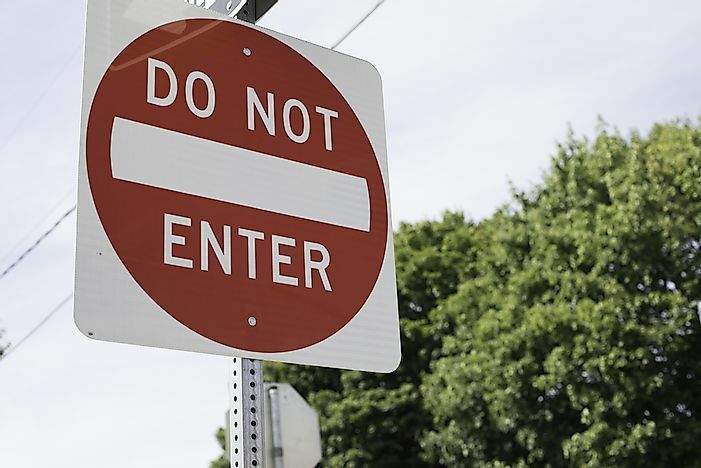 The issue behind the difficulty Americans face while attempting to visit Cuba emanates from the US government which issued a directive which prohibited Americans from visiting Cuba during the peak of the US-Cuba diplomatic conflict. The Central African Republic is often labeled as one of the world's most dangerous countries. Its ongoing civil conflict is one of the world's bloodiest. Millions of residents have already fled their homes in an attempt to seek refuge in neighboring countries, many of whom also have some degree of political or civil unrest. All of Central African Republic’s neighboring countries have closed their borders from the infiltration of refugees from the war-torn country. Photo credit: Grigvovan / Shutterstock.com. Iran and the United States have had an ongoing diplomatic row that began after the Islamic revolution of the country during the 1970s. The diplomatic tussle was temporarily eased during the administration of President Obama but have now picked up since the election of President Donald Trump. The United States has issued travel advisories to its citizens, advising them against visiting Iran which has affected the number of US visitors to the country. One of the most difficult countries to visit, particularly as an American citizen, in Eastern Africa is Eritrea. The only circumstance when an American citizen can acquire an Eritrean Visa in the United States is at the Eritrean Embassy in Washington D.C., and therefore people from other states need to travel to the nation’s capital to get the paperwork processed. The alternative is the visa offered upon arrival, but this is only possible if a respective visitor also has an invitation letter from a resident. Traveling to Chad as an American citizen is a nightmare. Chad, which is located in the Sahara, has many picturesque desert landscapes which could in theory be major tourist pulls. However, the US State discourages travel to the country, particularly in the tumultuous border regions. 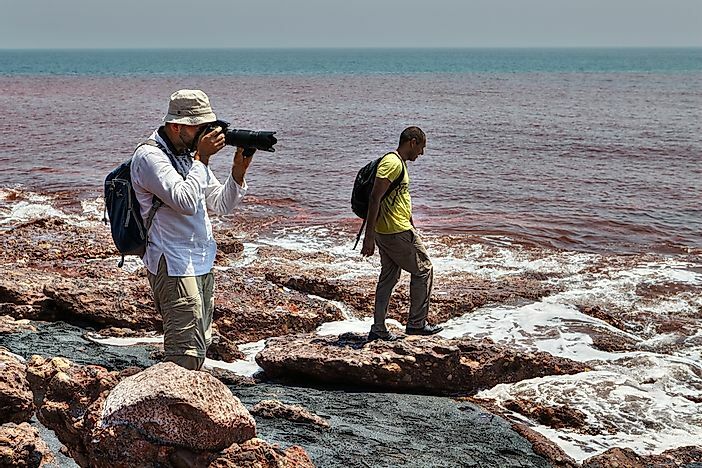 Angola is one of the most difficult countries for Americans to visit. The Angolan government has been accused of discouraging Americans from visiting the country. The African country is laden with natural attractions which appeal to tourists from all over the world. While there are little or no diplomatic issues between Angola and the United States, the bureaucracy involving the paper required to enter Angola is tedious. Some of the many requirements needed include a recent vaccination against yellow fever, a reference letter from the visitor’s boss at respective place of employment and an invitation letter (written in the Portuguese language) from Angolan citizens, among many other documents. The civil war in Syria has grown from low-key skirmishes witnessed in the start of the Arab Spring in 2011 to become the bloodiest civil war in the world for several years now. The Syrian war which has pulled in international players including Russia, Saudi Arabia, and the United States. This has led to the US to issue travel advisories advising Americans from visiting Syria. Photo credit: hikrcn / Shutterstock.com. 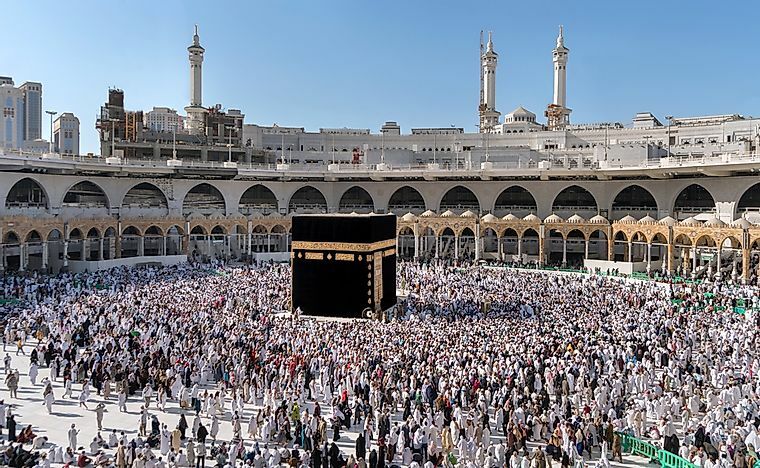 Every year, millions of pilgrims from around the world flock to the holy site of Mecca, in Saudi Arabia. However, visiting Saudi Arabia is not easy. The Kingdom discourages travel done by US citizens, and women are not permitted to travel alone without a male "chaperone" if they are under 30. Men and women can only travel together if married (and be prepared to show prove of your union).